I can't stand being touched by any person (even my parents) without permission. 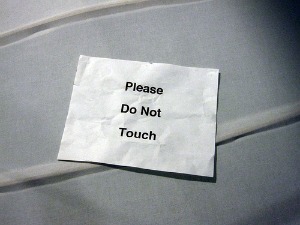 When I touch someone on purpose and someone touches me back- it's all right. It took me time to accept hugging even by friends - it's ok as long as it's short. When someone touches me, I have this burning feeling on this part of the body and the best thing for me is to scratch it or rub it so I don't feel someone else's body (hand or whatever) on me. I can accept the touch of a man I REALLY DO LIKE (but I have to have a feeling toward this man, if I find him only sexually attractive I might be bothered by his touch or simply don't feel pleasure that most women would feel).